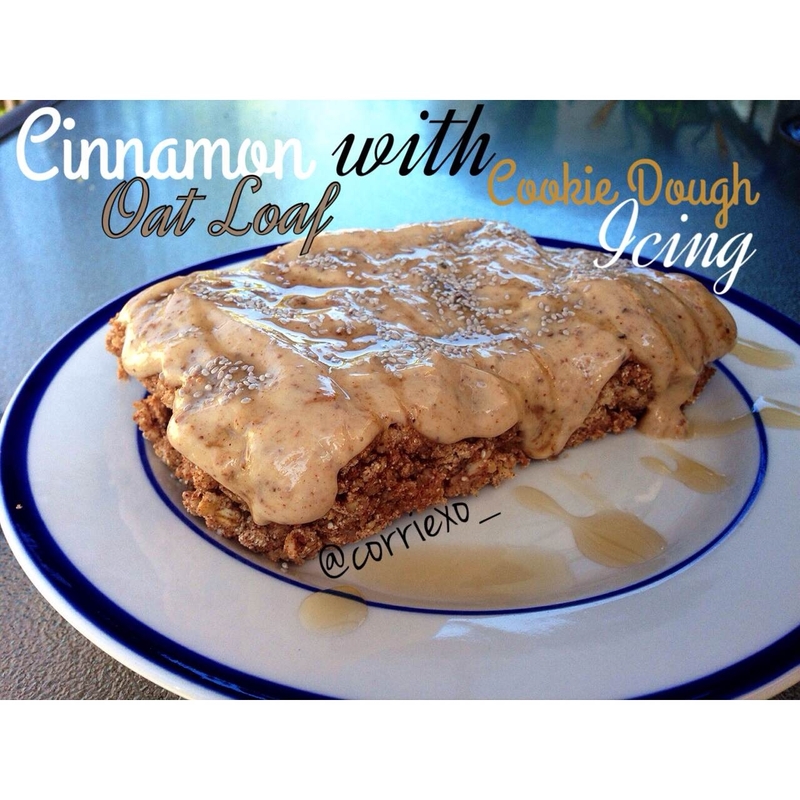 A yummy oat loaf, with a cookie dough inspired icing. Leaves you full, satisfied and your house smelling of sweet cinnamon! Mix all ingredients together and bake at 350 for 20 minutes or until cooked through. Add icing to load, serve and enjoy!